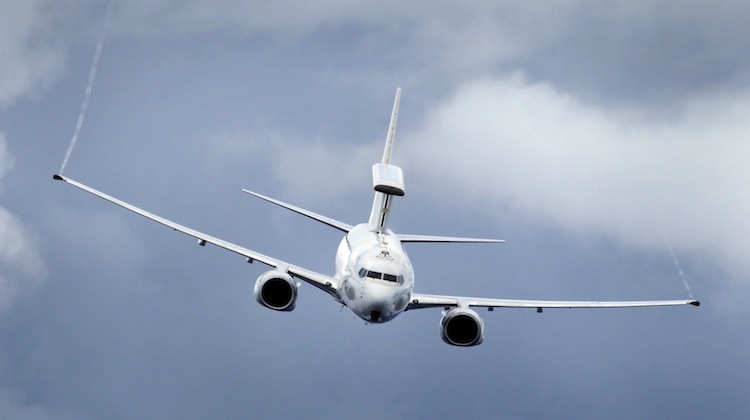 The Royal Australian Air Force (RAAF) E-7A Wedgetail airborne early warning and control platform has achieved final operational capability (FOC), after proving itself on operations in Iraq. The aircraft has been deployed on Operation Okra, the Australian contribution to the effort to combat Islamic State, completing more than 100 surveillance sorties in concert with coalition partners, and flying more than 1,200 hours. The Wedgetail also provided coordination and flight safety capability for the air search for Malaysia Airlines flight MH370 in the Southern Indian Ocean. Deputy Chief of Air Force Air Vice-Marshal Gavin Davies stated that the platform provides Australia with the ability to control and survey vast areas, and contributes to the development of the modern and fully integrated combat force envisaged under the RAAF transformation strategy known as Plan Jericho. A Boeing spokesperson said the company was proud of the Wedgetail reaching FOC with RAAF. 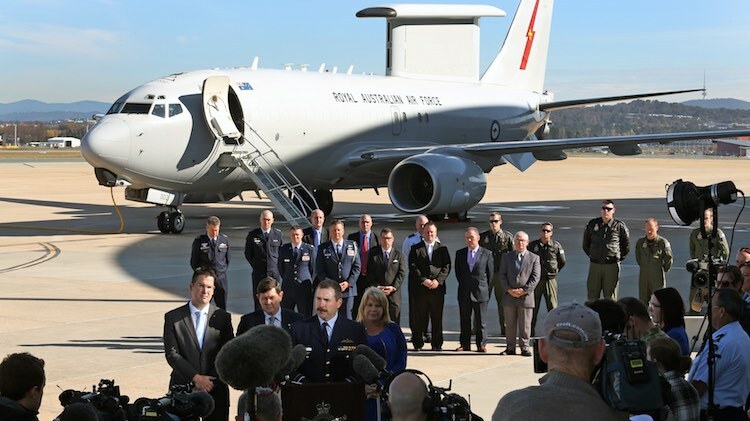 “From development through sustainment, Boeing has partnered closely with the RAAF to deliver the world’s most advanced air battle management system,” the spokesperson said in an emailed statement. Initial operational capability (IOC) was declared back in November 2012. Wedgetail operations are profiled in the June issue of Australian Aviation, on-sale in Australia from Thursday. Congratulations to the RAAF on this achievement! What an awesome picture to go with this article as well. I can’t wait to see the Wedgetail hooked up to the KC-30 once boom trials begin with this type. Fantastic. An awesome force multiplier. I dare say we only get told part of its true capabilities. Awesome news for an awesome capability, it truly is a game changer for the RAAF. Where will these jets live,things must be getting a little crowded on the ramp at Amberley by now. @Daryl, 2 squadron and the E-7s are based at RAAF Williamtown near Newcastle. There is also a detachment based at Tindal, although with the current commitments in the Middle East for Op. Okra I’m not sure if that’s still the case. How was it tested over Iraq? There is no enemy air traffic to monitor. Monitoring friendly aircraft is hardly a test for operational readiness. Planned exercises are just that, planned. Just asking. I wouldn’t completely discount that as not happening. The Iranians are known to be operating against ISIS in their own little sector of Iraq, through some back door agreement with the coalition. Also depending on where abouts in Iraq the Wedgetail is orbiting they would be keeping a close eye on Syrian Air Force movements across the border. A turn in the wrong direction by aircraft from either of those two nations and the Wedgetail crews would be directing the nearest coalition air assets to intercept. For all we know this could have already happened and we just don’t know about it yet.